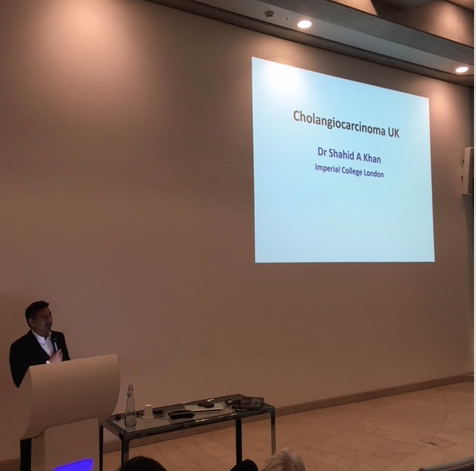 Following the Cholangiocarcinoma Workshop organised and hosted by Professor Nigel Heaton on Friday 19th January, Dr Shahid Khan introduced the Cholangiocarcinoma-UK group to the audience. Facilitate basic science and clinical research as well as sample collection, including for biomarker development. The first face-to-face meeting of the Working Committee for Cholangiocarcinoma-UK will take place at AMMF’s Cholangiocarcinoma Conference on 10 May, 2018, with the group’s inaugural conference taking place later in the year.